Back to the basics. 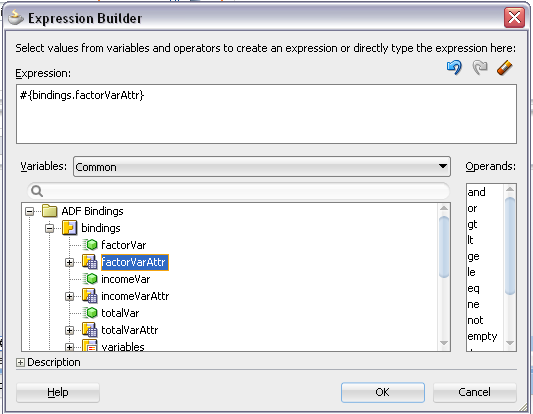 In most of the cases data is coming from Model layer, from ADF BC or EJB. When user is changing data on the screen, frameworks takes care and preserves temporary data. However, what about such screens where we have temporary fields, without any relation with the Model layer - transient data fields. What if there is no corresponding Model implementation, and still we need to store field data between requests - where should we store it? 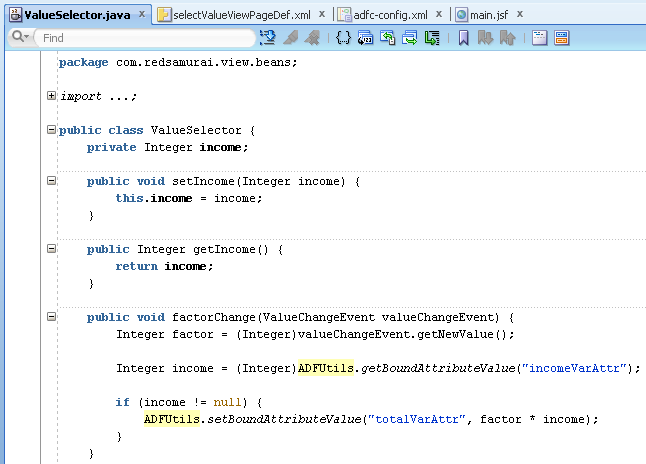 I believer, one of the best techniques is to use Page Definition variables, this is old approach back from ADF 10g times - but it still works very well. Main advantage - we are able to store transient temporary data between requests and there is no need to define session scope bean. It would be wrong to store temporary value inside Backing Bean - this bean lifetime is as long as request, in other words - once we will enter second input value, first will be always lost. You may think to define Session or even Page Flow Scope bean - that would make it work, but why to waste server memory - only if you want to make your ADF applications slow. So the important here is that is a way that we can use to get better performance, using pagedef variable in place of backing bean attribute. Yes... and other thing - much easier to manage temporary values. This is a helpful post. 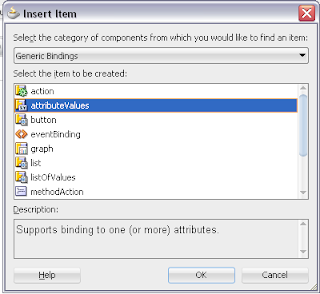 How would temporary values be done differently for declarative components? Just in the same way. In Page Definition for declarative component. 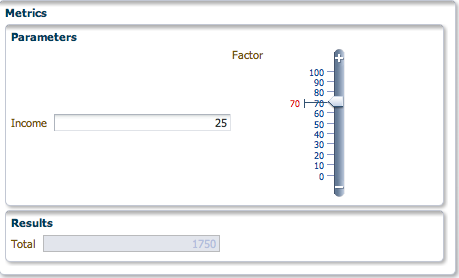 A very good explanation about Page Definition Variables to Store Temporary Page Values. 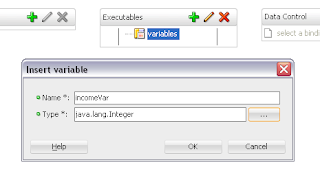 Explained how the data comes and how to store the temporary data using variables. Great post! never knew of this feature. Could you explain why this method would be more performant than saving these values in say pageflowScope or ViewScope ? Main reason is that pageFlowScope and viewScope stays clean and we can easier track what temporary values we are using. Plus we are leveraging ADF Model layer to store our data, without relying on memory scope. 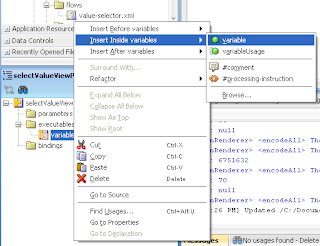 Ideally, in pageFlowScope we should store only TF input parameters, by design. viewScope remains active, only while on current page. 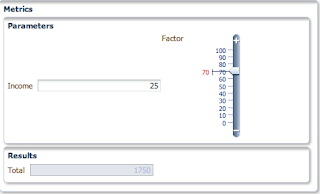 But when storing temp values in ADF Model, values will remain - same as other values coming from ADF Model. Thanks a lot for your reply Andrejus! Please share your comments on another doubt of mine. 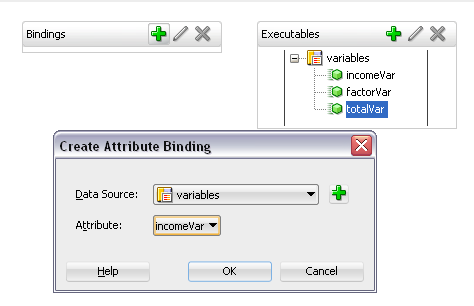 I was just wondering if this implementation for saving temporary variables is HA compliant i.e. failover safe. When we put values into memory scopes and the scope is dirtied, it gets serialized and the changes are propagated to other nodes of the cluster. If a node goes down, the state is automatically recovered. Passivation takes care of temp. 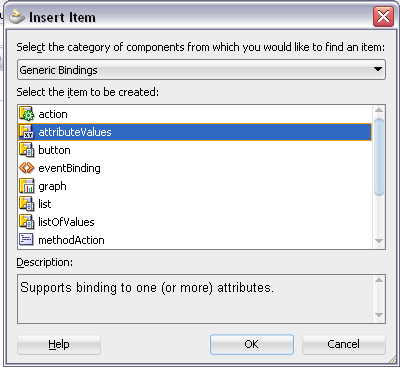 attributes in the BC layer. 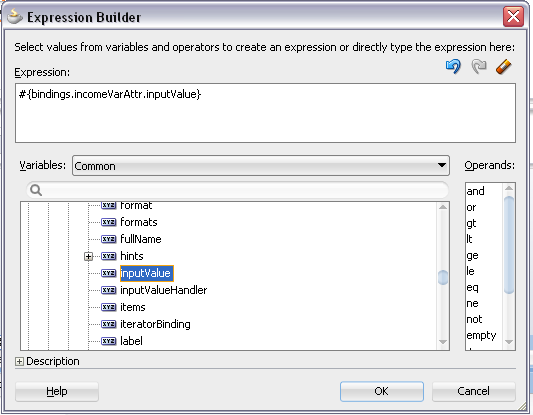 But, what about these page definition variables, are they also taken care off somewhere ? Yes, it should be replicated across cluster together with ADF Model values. 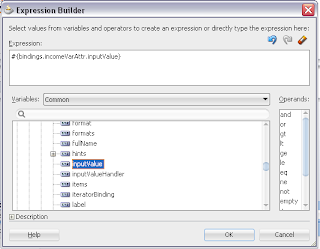 I am trying to use PageDefinition variables, but getting some issues. Values are getting lost. I have also posted a question on OTN forum..
How do I do this simple thing in ADF Mobile? Can you send me an example. I have a deadline but seem to no where. Please help! 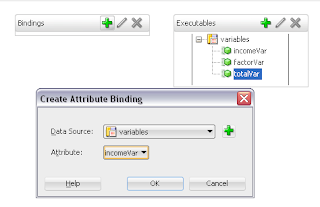 If you are using shared data control scope do you know if the variable attribute binding will be shared when you navigate between task flows or within regions or will you lose the stored value? I would assume it should work, you would need to access different page definition context. 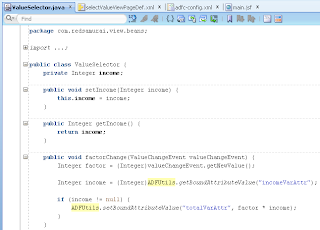 Page def variables are supposed to be used in the current page def anyway. first of all thanks for the post and for all your teaching work! It helps a lot. 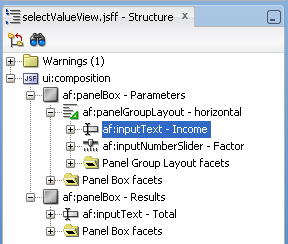 I'm developing on JDEV 11g release 1 and I'm facing with this problem: on my JSFF page I've defined two beans (one that has request scope, used to handle a valueChangeEvent, and one that has pageFlow scope, used for other controls). 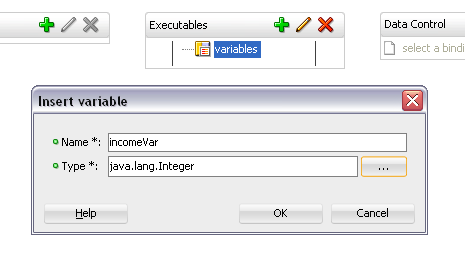 Unfortunately, if I set temporary variables from the first (in the method that handle valueChangeEvent), when I get them from the second, they are null! can you explain what could be wrong?